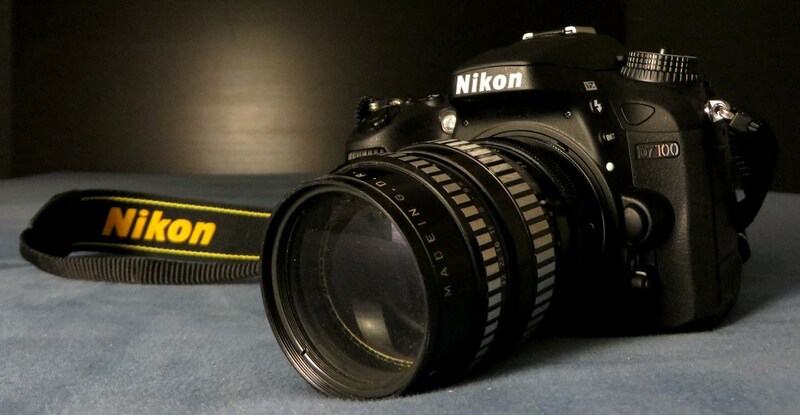 I originally planned to get a D3200 or a D3300, which are part of Nikon's entry level DSLR lines. But I couldn't resist the extra features that are part of the more advanced D7100. One of those features is that you can use very old lenses that don't have a built-in CPU. So with a small adapter ring, I was even able to mount my 35-year-old (give or take a few years) Pentacon 135/2.8 135 mm f/2.8 lens, also known as the "bokeh monster". Unlike modern lenses, the Pentacon 135/2.8 is manual-everything. Obviously the focusing is done manually, and the same thing for setting the aperture (the size of the lens opening). Nikon has been moving away from even having an aperture ring on the lens itself for about a decade now. Instead, you set the aperture through the camera. Or the camera sets the aperture automatically. But even when you set the aperture on the lens, the aperture doesn't actually close—that only happens when you press the shutter to take a photo. Not so on the Pentacon 135/2.8. Here, if you turn the aperture ring, you see the viewfinder image getting darker in real time. Which makes manually focussing a lot harder. Fortunately, the 135/2.8 has an additional preset ring that sits on top of the aperture ring. This allows you to set the minimum aperture. With that set, you can move between the maximum and minimum aperture without taking your eye off of the viewfinder by turning the aperture ring as far as it will go. What you can see here too is what earned this lens its nickname "bokeh monster". 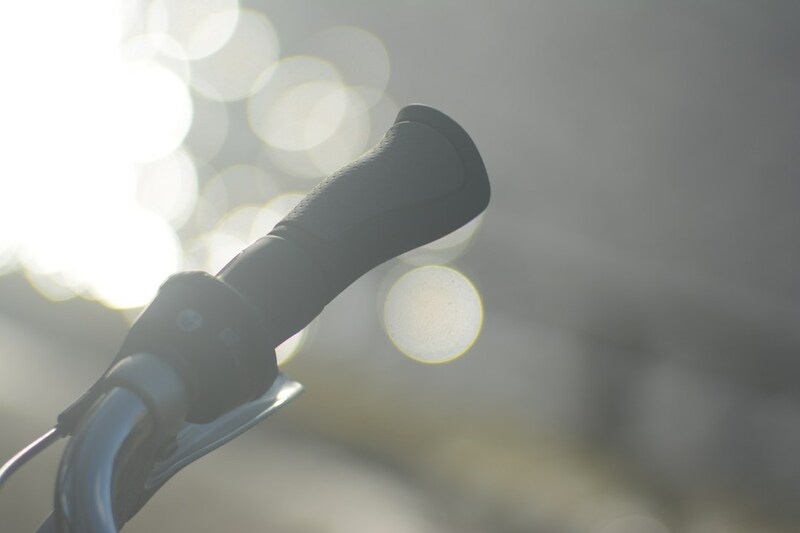 Bokeh is a Japanese term used by photographers to describe the quality of the out of focus elements in a photo. The reflections in the water turn into very large discs here, which is often desirable. The edges of the discs are a bit sharper than they could be, though. In this case, I made it easy on the lens by shooting with the lens "wide open" at its maximum f/2.8 aperture, which makes for maximum background blurriness. When closing down the aperture, the shape of out-of-focus highlights is determined by the shape of the aperture, which is normally created by 5 to 9 blades. The Pentacon 135/2.8, on the other hand, has no fewer than 15 aperture blades, so the out-of-focus highlights remain round. 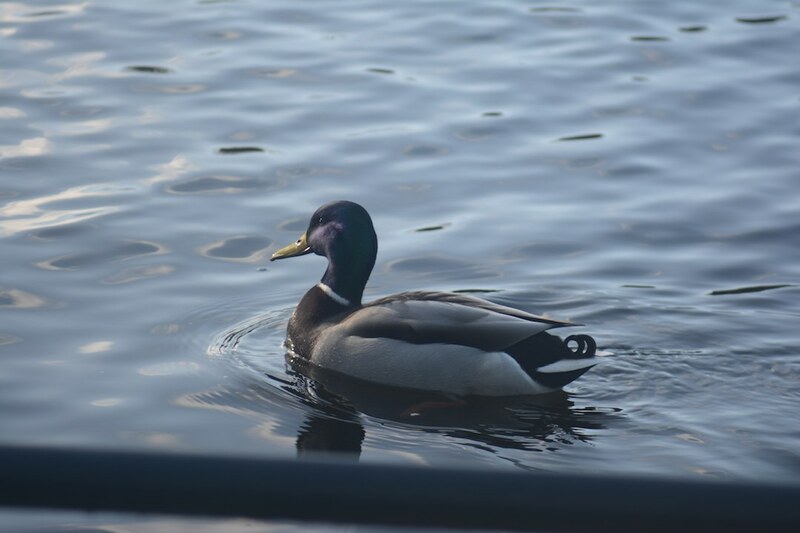 It's a lot of fun to be able to use a very modern camera with such an old lens, and having the focus indicator confirm that I nailed the focus manually 80% of the time—if those damn ducks would stay in one place for more than half a second!—is a nice little ego boost. And it makes you appreciate all the photographic automation we've gained over the past decades.